straight up if you're that worried about what she thinks, scrap the bike idea and put the money in your civic. Then again, if I had that extra money I'd do what one other member said, buy a used bike and stunt the **** out of it. Don't know how to even ride, good way to learn. First thing first.... If she is going to leave you for that, IMHO she's not worth it. The fact that she is concerened for you is a good thing though. If you can talk to her about it and let her understand you, she may still not like it, but she won't leave you. Now going from a dirt bike to a street bike IS very diffrent. Just take it easy, know your own limits, because a motorcycle can far superseed your limits. I do agree with getting somthing a little slower for your first bike though. Atleast for the first year or two. yeah, i say do what makes you happy. her concerns are valid, but its your life and if you are a smart rider you dont have to get hurt. i know they say its not if you go down its when you go down, but still...there are plenty of people that have ridden a bike all their lives and are alive and well. you know? so, get one and if she leaves you then she wasn't the one anyway. im not gonna say if you dont get one youre whipped, because thats just stupid. bikes ARE dangerous and you CAN get killed...but that doesnt mean that they have to be dangerous and you will get killed. so, that being said...DONT get a liter bike as your first street bike. a 600cc is plenty for even seasoned riders, so whats the point of getting something that big, especially if its your first street bike? its a lot of money, waaaaaay too much power, and higher risk of getting hurt if you dont know how to handle it propperly. all it takes is one small mistake and youre pancake. im with the others on this one also. go for something smaller...better yet, get a used one so you dont feel bad when you lay it down for the first time. spend the money on good leathers and a good helmet. you can get some amazing 1 or 2 year old bikes at a super low price. what bike do you have in mind anyway!!! So whats a good beginer bike again? Anything 600CC and under? Everyone and there mother has a CBR, but they are awesome bikes. Whats some others under 4K used and for newb? Make Model?Thx, i want a bike for college,etc, im a newb though. : You need to reconsider if you really want to ride. Everyone wants the bright shiny bike, but that is not the way to go for a first bike. If your ego would be hurt by an "ugly" bike, then maybe you should reconsider this investment all together. Now to answer your question. You don't have to lose your girlfriend to get the bike. What I did when my folks were giving me **** was the following. I bought my helmet first. I then told them a week in advance that I would be looking for a bike. I bought the bike and although my folks don't like it, they live with it. Uh....no its not a good way to learn. It's a good way to hurt yourself and cause my bike insurance to go up for your claims. how are Kawasaki? Performence wise and durability? I know a Honda will last long, etc. 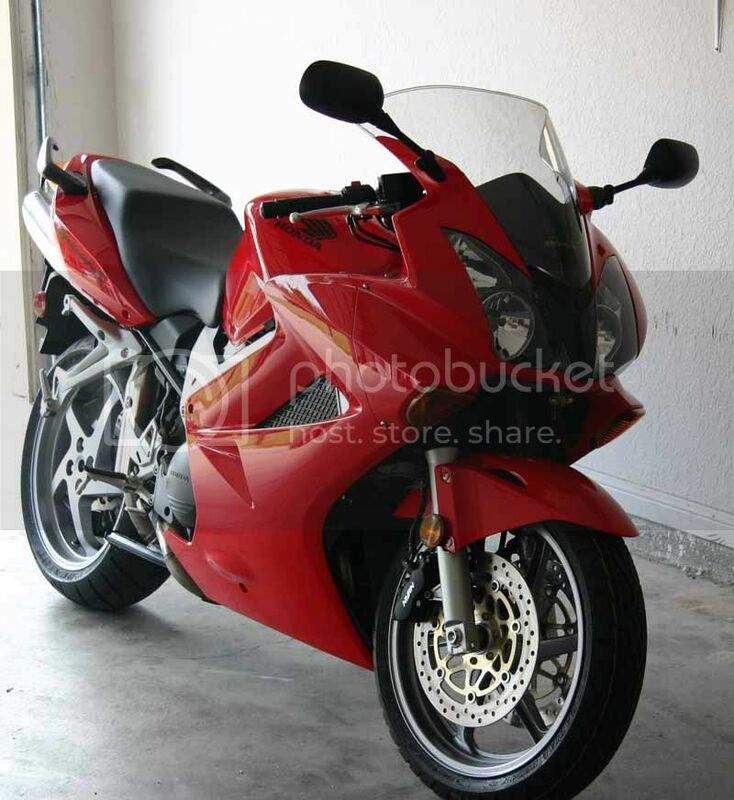 yea, im thinking of just a CBR F4i, even though everyone has one. Meh. so after going out and shopping today, I have decided against getting a R6 as well. It looks cool and everything, but the position you have to ride it would make me go sterile after a few months. My ***** were riding that gas tank. Ive decided that for my long *** commute it would be a better investment to get a Fz6 or a sv650, both of those bikes are way more comfortable and insurance isnt as much. Plus they look just as sporty. 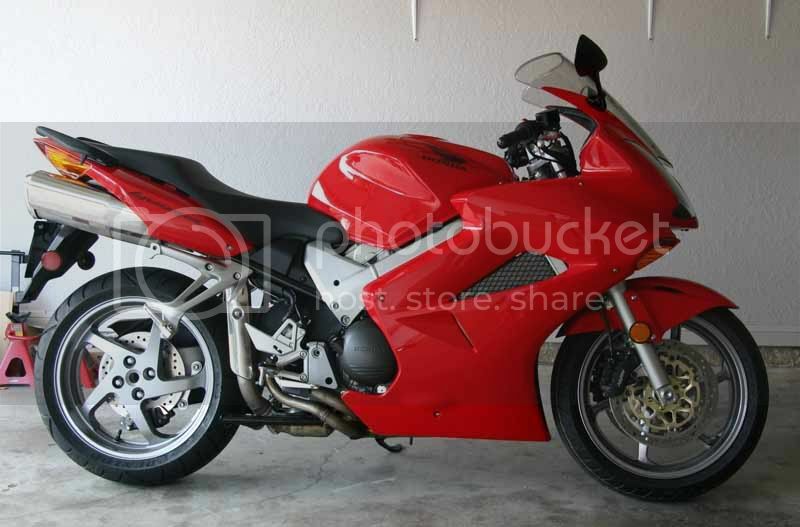 Ive also decided against getting a new bike. Thanks for all the input guys... ill keep ya updated on what I end up getting. Glad to see someone with some common sense. Make sure you get some good gear. And be sure to show me some pics!!! Here's some pics for you to drool over. The first is my old GSX-R (yellow) with my friends sv650s (silver) and my girl's gs500f (blue). The second is my 2005 R6 Raven which I just sold to my brother-in-law. The third is another friend's 2005 Honda Repsol edition CBR1000rr. The last one is the morning of my birthday. A few of my boys got together and took me for a ride all day!!! They even bought my gas! layinlo, that repsol bike is the sexay!! Thanx, I'll tell my friend. Anyone knows anywhere where I can rent a bike ? ?